Adding cranberry juice to your cocktails not only tastes yummy, it also makes you feel a little bit healthy! ("Who's drinking what basically amounts to a smoothie of cranberries right now? Me! I am!") Maybe not THAT healthy, but you get the picture. Considering all the indulgent food you'll probably get your hands on during the coming holiday weeks, we can't say we blame you for looking for a little respite. So we added a dash of orange flavor to create a drink that is reminiscent of your family-recipe cranberry sauce. This updated version gets some extra festivity for the holidays with the addition of Cointreau, one of our favorite liqueurs. A new twist on an old favorite makes for a super tasty treat that's tart, sweet and celebratory! 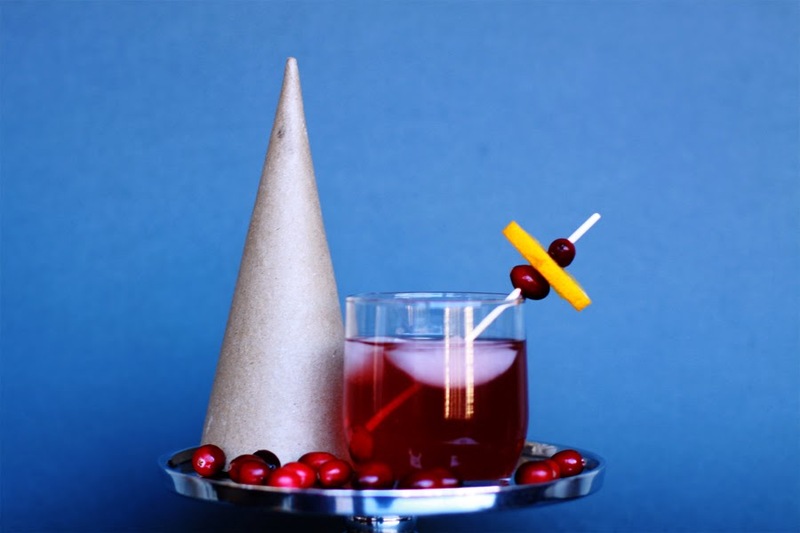 Pour over ice and garnish with cranberries and orange wedges! - Cranberry juice tends to be really sweet, so take care to buy a brand with the most real juice possible. We searched extra hard to find a juice that didn't have added sugars or juices from other fruits mixed in. R.W.Knudsen has an option called 'Just Cranberry' which is 100% juice and available nationwide. - Do you find the drink is still not quite hitting the right tart note for your taste buds? We've got a fix! Muddle up some cranberries (5-6 should do it!) and add them to your drink. - Are you making this for a party? We love the idea of adding a cinnamon sugar rim for an extra special look and a shot of flavor.